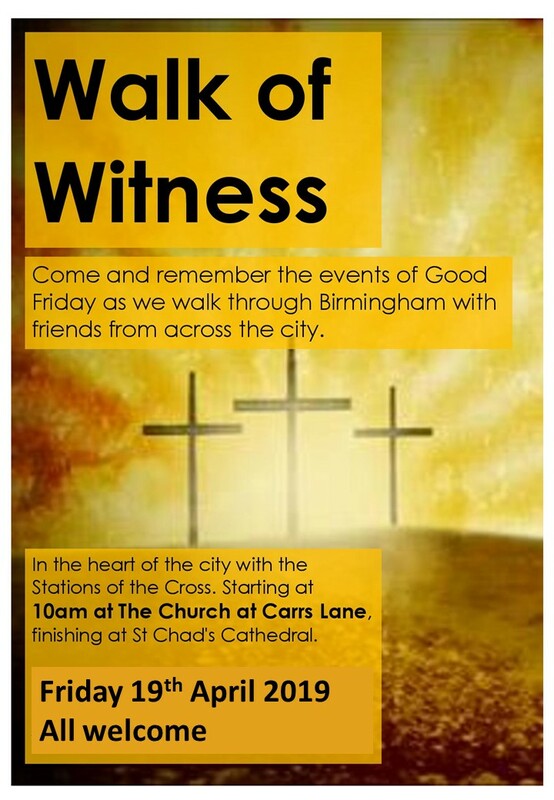 Please join Archbishop Bernard Longley, the Catholic Archbishop of Birmingham, Bishop David Urquhart, Bishop of Birmingham, and other Faith Leaders on the annual, ecumenical, Good Friday Walk of Witness. The walk starts at Carrs Lane Church, moving along High Street and New Street to the Council House. From there along Colmore Row to St Philip’s Cathedral. Finally walking along Colmore Row, down Snow Hill and ending at St Chad’s Cathedral. All are welcome at this special event.